You know those times when you're in dire need of a sugar-filled Venti Macchiato but can't make it out to one of the 21 Starbucks on every block in New York City? 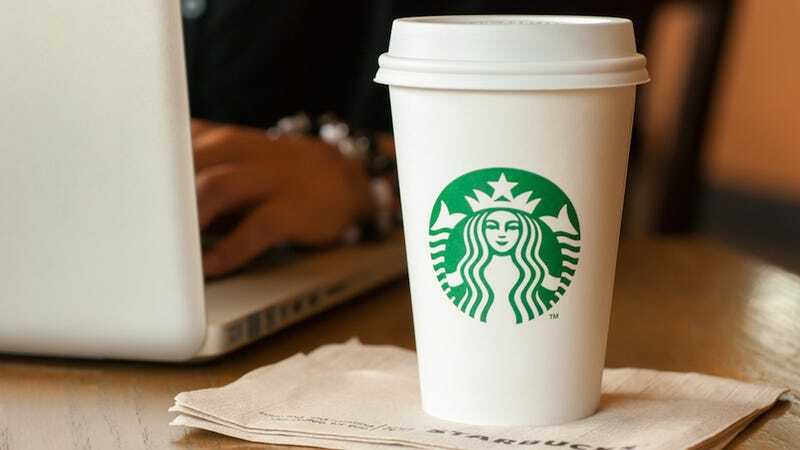 Finally, Starbucks is granting your third wish of having a cup of caffeine delivered right to your door, a la Seamless. In its quarterly earnings call on Thursday, Starbucks CEO Howard Schultz said that the coffee chain planned on implementing a mobile ordering and payment system set to launch in the second half of 2015. "Imagine the ability to create a standing order of Starbucks delivered hot to your desk daily," Schultz said. "That's our version of e-commerce on steroids." You'll have to wait a year before the service launches, and Starbucks is still working on creating a delivery system that makes sense. This should be a breeze because every time I walk into my friendly neighborhood Starbucks, I have to place my order two or three times, it's always the absolute most efficient ordering process ever. "Its very early days at this but we are moving ahead, full speed ahead. The pilots are coming soon. We are going to be looking at a number of different options. There will probably be a multiple number of solutions that we go with them in terms of how we operationalize this. And at this point, we are not ready to tip our hand on that but suffice it to say we have lots of different ways of doing this in front of us and you can expect to see things in 2015." Its new slogan: COFFEE NOW!!!!! !